At this year’s HBA Global Expo and Conference, Resvology was the brand to know in the SPLASH! Pavilion, the industry’s showcase for new and emerging brands that has helped incubate and launch some of the industry’s most coveted new products. Resvology won the 2013 HBA New Product Showcase Award and SPLASH! People’s Choice Award! Personally, I have used their products and know first hand how effective this line is which is why I am going for the trifecta of honors and naming Resvology the JULY BREAKOUT BRAND of the MONTH. 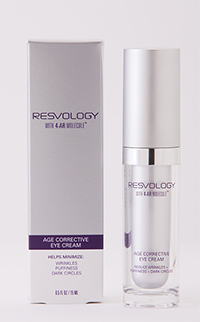 4-AR Molecule is the only stabilized ester of the widely recognized “youth molecule” resveratrol – and only Resvology has it. The benefits of resveratrol are well known, but until Resvology’s scientists studied this ester, resveratrol could not be stabilized for use in skincare, and would lose its effectiveness when applied topically. But with 4-AR’s unique stability, users will get consistent anti-aging benefits with each application, allowing the molecule to do what it does best – fight the signs of aging. 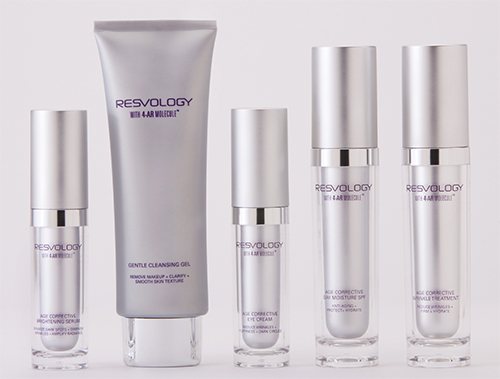 The complete Resvology skincare collection includes targeted solutions that address the key signs of aging and is suitable for all skin types. 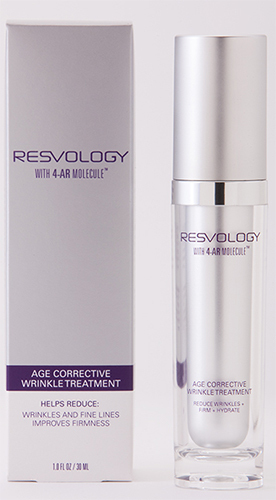 My favorite product was Resvology Age Corrective Eye Cream – an anti-aging and hydrating eye cream that helps combat fine lines and wrinkles as well as minimize dark circles and puffiness. I saw consistent and almost instant results!